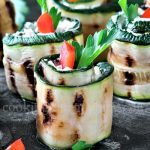 Grilled zucchini roll ups with spiced cream cheese, parsley and pepper are so easy to make, nice to serve as appetizers any time of the day or for a party. It’s a great low carb vegetarian snack. These zucchini appetizers are soft and fresh, perfect if you love grilling. 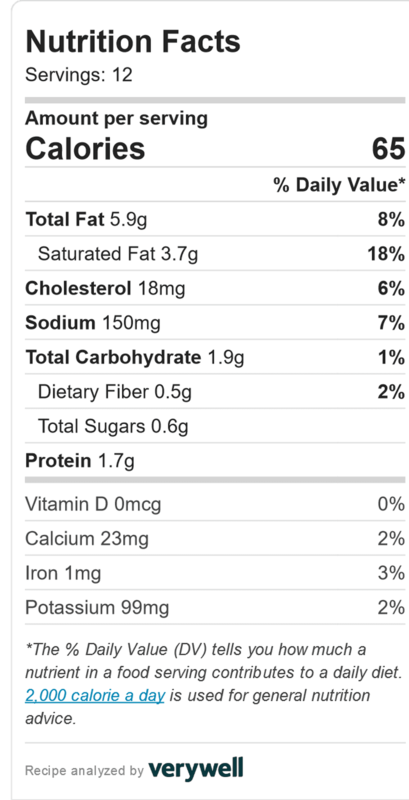 Zucchini roll ups are great to have in your lunch box, too. 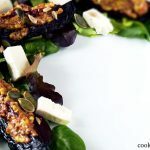 Moreover, these vegetarian zucchini roll ups are low carb, gluten free and sugar free. For the filling mixed the light cream cheese, which has less fat and calories with spices. To prepare zucchini I recommend using a kitchen mandolin to create thin and long slices (strips). You can also use a knife, but it will be much harder to have similar slices. By the way, if you have sliced your zucchini more thick than you wanted and you don’t want your grill marks to look too charry, I can help you with this! Just bake the slices on a tray with baking paper for up to ten minutes, then grill up to one minute per side until you see the grill marks! Make sure your zucchini slices are not too thin and translucent, so they can hold their shape, but also not too thick, so they are possible to roll. And it is more easy to flip zucchini gently with grill tongs! Discard first and thick slices, you bake it later with your other veggies like this Stuffed pumpkin. To grill zucchini slices spray the grill pan slightly with oil or if you are confident that your slices won’t stick to the pan omit the oil. You can grill a tester at first, to see how it goes. If zucchini is too oily, it will be not pleasant to grab with your hands. On the other hand, you can use a paper towel to remove excess oil from grilled zucchini slices. So the time of grilling of zucchini depends on the way you sliced it. 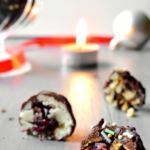 The thicker, the longer time, but thin slices will be easier to wrap. You need to grill it just until it becomes soft and grill marks form, then flip to the other side. Grill approximately for a minute on each side. You can also bake zucchini slices for 10 to 15 minutes (390 F/ 200 C) or marinate them in olive oil, lemon juice and salt for two hours. 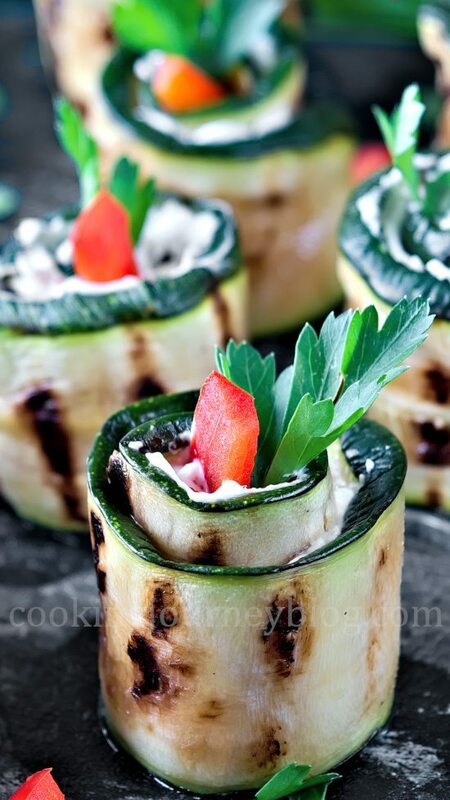 However, the grill stripes are looking so good on these zucchini roll ups! To make zucchini roll ups appetizer, after grilling zucchini (and removing excess oil) smear slices with mixed cream cheese, spice and herbs. Then roll, decorate with bell pepper slices, parsley and enjoy! We love thing spicy! Like our vegan lentil salad and cauliflower buffalo wings. Adjust the spices to your taste, maybe less or more cayenne? Moreover, you can add a slice of salted salmon inside. 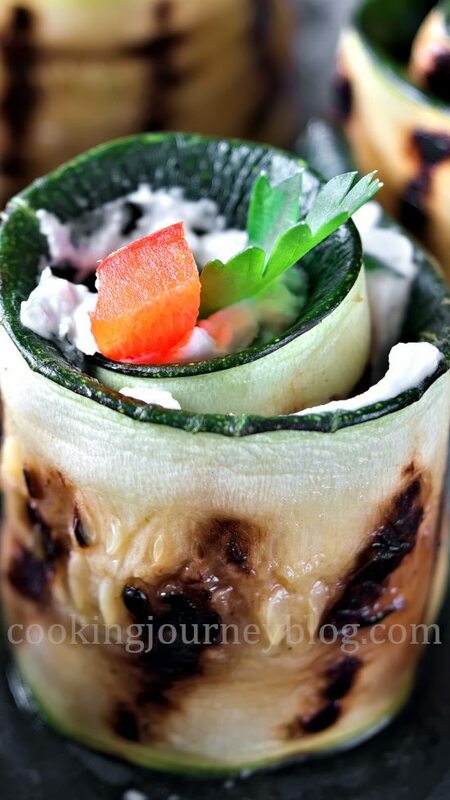 By the way, if your grilled zucchini roll ups are not holding well together, use a toothpick. It will also be easier to grab these appetizers. You can prepare grilled zucchini roll ups to two days before your guests arrive, just decorate with bell pepper and parsley on the final day! By the way this is a great snack combined with smoked or salted salmon aside. If you are looking for another vegetarian option for serving on a party, check our stuffed peppers. Both green and red appetizers are easy to make and they will decorate your table! Moreover, you can place these grilled zucchini roll ups on a pan, cover with tomato sauce, and reheat in the oven for about 25 minutes (390 F / 200 C) or on a stove on a medium heat, covered for 15 minutes! And delicious appetizers can be served with rice for dinner! You should also check our chicken zucchini lasagna. 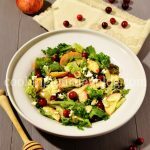 It’s another delicious way to serve healthy dinner! Zucchini roll ups with cream cheese, parsley and pepper are so easy to make, nice to serve as appetizers any time of the day. Mix all spices with cream cheese and set aside. Adjust the spices to your taste. Brush zucchini slices with olive oil. Grill 1-2 minutes per side until softens. Remove excess oil with paper towel. Brush every zucchini slice with cream cheese on one side and gently roll. You can insert a toothpick if it doesn’t hold well. Cut bell pepper into long slices, then cut the slices in half. Insert bell pepper slices into rolled zucchini as seen in photo. Add parsley leaves on top of zucchini rolls. 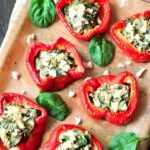 My husband recently started a low carb diet and these would be the perfect appetizers or side dish for him. They came out so pretty! Thank you, Vicky! 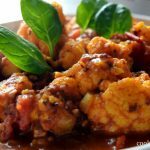 Yes, it’s a perfect low-carb dish! What an elegant meal! These would be perfect for summer entertaining. These look and sound amazing. I bet they wouldn’t last long if you served these up at a party! I think even my veggie hating family will go crazy over these gourmet roll ups what a great looking roll of I love them! They will love the spicy filling on grilled zucchini! 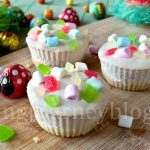 Those looks so pretty and i love that it’s very easy to make. Will definitely try this! Great to hear that! Let us know how it goes!